Provides 1/2" of insulation to ensure that the coil's spark reaches the distributor. If you have your coil mounted in the passenger compartment, you need the Firewall Feed-Thru. 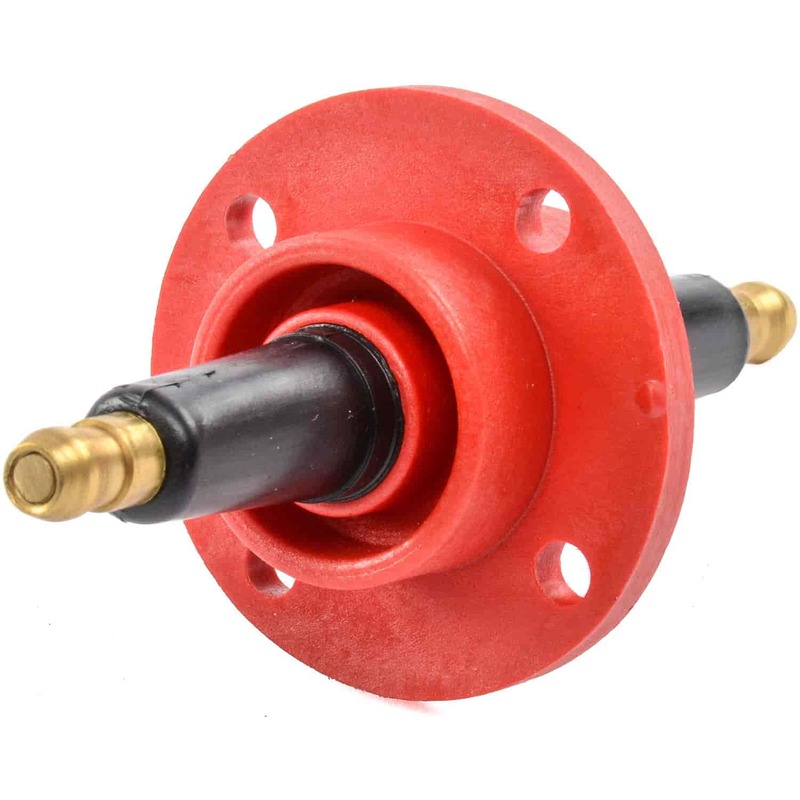 The Feed-Thru offers a half inch of spark isolation through a rynite mold to ensure that the spark gets to the distributor cap instead of jumping to ground at the firewall. A brass rod is surrounded by an injection molded rynite and nylon housing to form a spark isolating path through the firewall. Spark plug style terminals are used for strong Coil Wire connections. Mounts in a 1'' diameter hole with supplied hardware. 8211 - MSD Firewall Feed-Thru is rated 5.0 out of 5 by 2. Rated 5 out of 5 by Paco Rossi from Great experience Courteous operators ,quick delivery and always the correct products!